During this holiday season, as you gather with friends and family for joyous festivities, we offer you this message: May your home be filled with peace, warmth and comfort. May the joy of the holiday season find its way into your heart. May this joy extend through this season, and into the New Year. As we express our gratitude, we must also never forget that the highest appreciation is not to utter words, but to live by them. 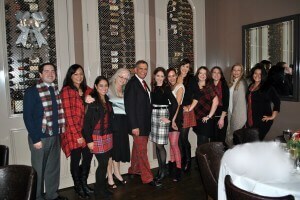 Plaid Tidings & Merry Christmas!